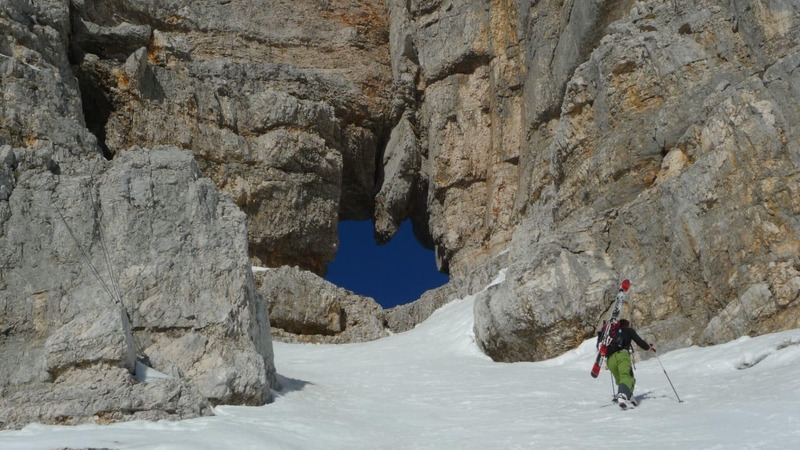 Come with Rok, an IFMGA/UIAGM mountain guide , and discover the amazing Triglav National Park on this 6-day Julian Alps guided ski safari! 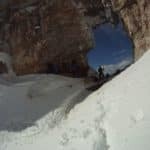 Come with me on this 6-day Julian Alps guided ski safari in the amazing winter paradise of Slovenia! 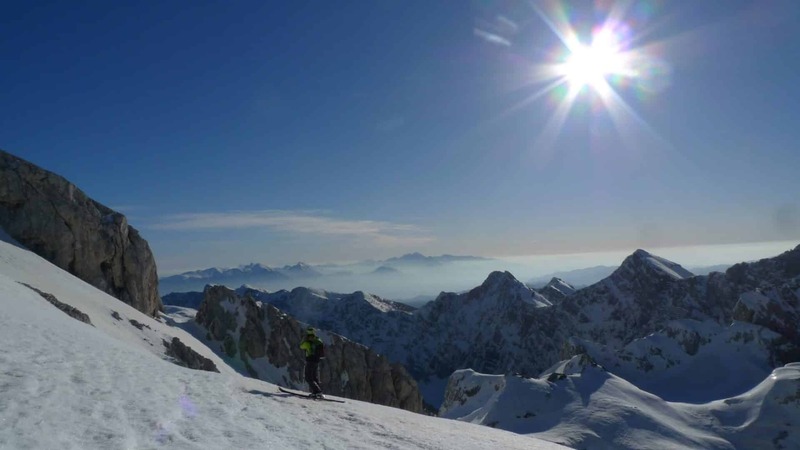 Perfect for all skiers who wish to explore this beautiful mountain range and enjoy different types of terrain, while making the most of their stay in the amazing Triglav National Park. During our 6-day ski tour participants will be able to discover three beautiful alpine villages located in the heart of the Julian Alps (Bled, Kranjska Gora and Bovec) as well as two of the best ski resorts in Slovenia (Vogel and Kanin/Sella Nevea). 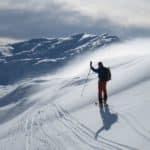 Combining free riding and ski touring, skiers will be able to ski in the Julian Alps as well as the Karavange range, located on the border between Slovenia and Austria. Traveling from town to town, chasing the best powder in the region and discovering the best local meals , this 6-day adventure will be unforgettable! Regarding our accommodation, participants will spend 3 nights in Bled, one night in Kranjska Gora and one night in Bovec in family-run pensions. (in case you choose the individual trip, you’ll stay in private double rooms or single rooms). And on our fifth and last night, we will rest in a cozy mountain hut in Sella Nevea. You will find a more detailed itinerary below! Beginners as well as experienced skiers can join me on this adventure. 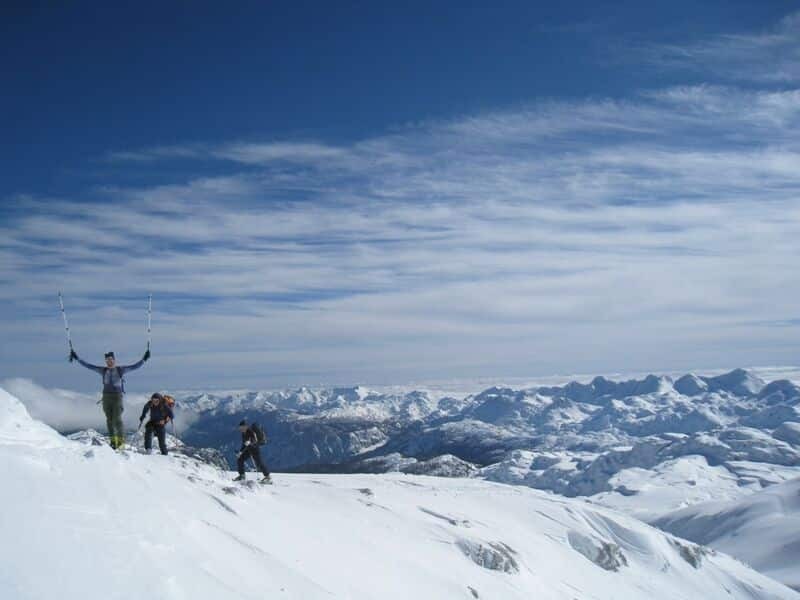 So if you are ready for this 6-day ski safari, request to book this trip! 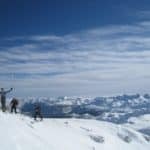 If you are looking for another ski adventure in Slovenia, you can also join me on this Guided backcountry skiing road trip from Bled! Evening meeting at the airport, 30min drive to Bled where you will meet your guide and have a welcome drink, check the gear, discuss the weather conditions and plan our itinerary for the following days. 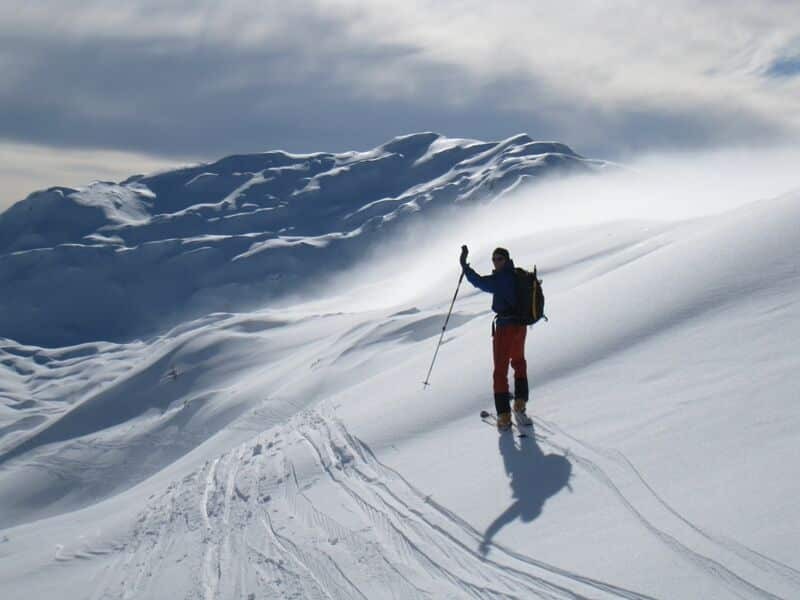 While skiing we will always have to be flexible regarding snow conditions and the weather forecast, so your guide will choose the best plan to have the ultimate and safe experience. 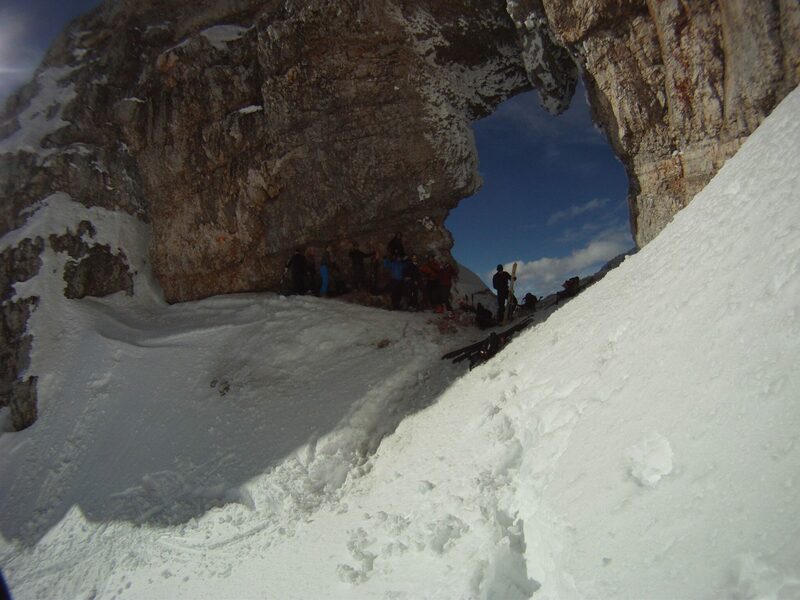 On the first day we will ski in Karavanke region with possible ski descent to Slovenian or Austrian side. 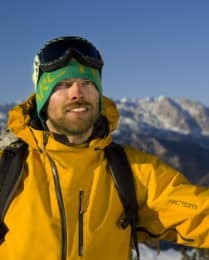 On the way we will refresh your ski touring skills, basics of snow safety and avalanche training course. Vogel ski resort is a quiet and small resort in the heart of the Julian Alps with magnificent views over Bohinj lake, mt.Triglav and the rest of the Julian Alps. As soon as we go off piste this small resort becomes a playground with endless possibilities. With ski touring gear, our possibilities are endless. After skiing we will change our location to Kranjska Gora where we will spend the night (you even have an option to go night skiing, the ski slopes start in the town centre). Kranjska Gora is a host for skiing Wold cup every season, from this town participants will appreciate the stunning view of Mount Prisojnik as a background. Vršič pass (1800m) offers great possibilities for ski touring and in good conditions we can even ski down to the Soča Valley. Soča river is the most beautiful river with crystal clear water and amazing ice sculptures in the winter – a must see when you visit Slovenia at any time, but totally remote and quiet in the winter. We will sleep in Bovec town tonight. Kanin ski resort has an impressive setting. 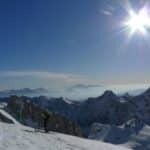 Being one of the Europe’s snowiest places with easy access to Big mountain terrain to both Sella Nevea and Bovec side. 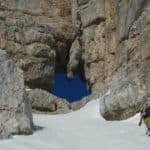 Here we can do an ultra classic ski descent from Slovenia to Italy through a natural window in the rock face. We will spend this night at the cozy hut at Refugio Gilberti. This is our last day and we can be totally flexible with the itinerary. 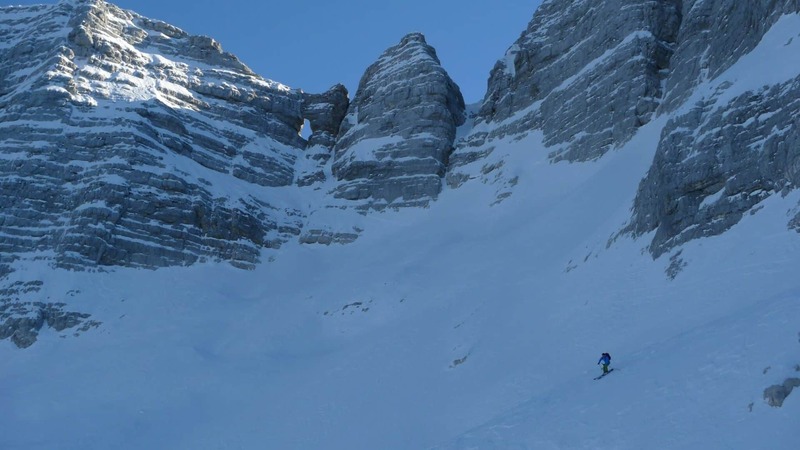 Mountains around Sella Nevea have lots to offer- ski touring and freeriding, so you can decide what and how to ski together with your guide. You will spend the last night in Bled, as it is the most convenient (and beautiful) location for the rest of your stay or returning back to the airport.